The quickest way to buy a PPC is to buy it online - emailed out to you as a digital certificate available to use immediately. Price is fixed for the year - so you miss out on the usual annual prescription charge increase each April. And stockpile meds before April if you can..
Hope you are joking!! Completely irresponsible advice. Not if you need them for your health condition and the medication is …Not if you need them for your health condition and the medication is within the dates you intend to take them over the coming months.The NHS is expecting supply issues , but can't say anything to cause a panic.Go to your local pharmacy, they are already having massive issues, as suppliers have already started halting sales here in preparation. That is simply not true and I say this as someone that actually knows not idle gossip. Panic stock piling could cause a huge problem though. Two prescriptions every month? How sick is the general public??? If a person has a heart attack, they leave hospital with at least 6 individual medicines, for that alone. Let alone any other health issues they may have. Also you don't necessarily have to have a chronic illness. It can be something like a vitamin d tablet because we live in the northern hemisphere, and statins because a person's age is over 50 to lower cholesterol, and an aspirin to thin the blood to prevent heart attacks. Additional information:People with certain medical conditions can get free …Additional information:People with certain medical conditions can get free NHS prescriptions if:they have one of the conditions listed below, andthey hold a valid medical exemption certificateMedical exemption certificates are issued on application to people who have:a permanent fistula (for example, a caecostomy, colostomy, laryngostomy or ileostomy) requiring continuous surgical dressing or requiring an appliancea form of hypoadrenalism (for example, Addison's disease) for which specific substitution therapy is essentialdiabetes insipidus or other forms of hypopituitarismdiabetes mellitus, except where treatment is by diet alonehypoparathyroidismmyasthenia gravismyxoedema (hypothyroidism requiring thyroid hormone replacement)epilepsy requiring continuous anticonvulsive therapya continuing physical disability that means the person can't go out without the help of another person – temporary disabilities don't count, even if they last for several monthsThey are also issued for people undergoing treatment for cancer:including the effects of cancer, orthe effects of current or previous cancer treatmentYou can get free NHS prescriptions if, at the time the prescription is dispensed, you:are 60 or overare under 16are 16-18 and in full-time educationare pregnant or have had a baby in the previous 12 months and have a valid maternity exemption certificate (MatEx)have a specified medical condition and have a valid medical exemption certificate (MedEx)have a continuing physical disability that prevents you going out without help from another person and have a valid MedExhold a valid war pension exemption certificate and the prescription is for your accepted disabilityare an NHS inpatientYou're also entitled to free prescriptions if you or your partner – including civil partner – receive, or you're under the age of 20 and the dependant of someone receiving:Income SupportIncome-based Jobseeker's AllowanceIncome-related Employment and Support AllowancePension Credit Guarantee CreditUniversal Credit and meet the criteriaIf you're entitled to or named on:a valid NHS tax credit exemption certificate – if you don't have a certificate, you can show your award notice; you qualify if you get Child Tax Credits, Working Tax Credits with a disability element (or both), and have income for tax credit purposes of £15,276 or lessa valid NHS certificate for full help with health costs (HC2)People named on an NHS certificate for partial help with health costs (HC3) may also get help. Cheaper to buy the 3 monthly certificates if you're on regular 3 monthly prescriptions. That way, you can get 6 months worth of prescriptions on each 3 monthly certificate if you get them at the beginning & end of each certificate period. Not if you need them for your health condition and the medication is within the dates you intend to take them over the coming months. The NHS is expecting supply issues , but can't say anything to cause a panic. Go to your local pharmacy, they are already having massive issues, as suppliers have already started halting sales here in preparation. Anyone know the situation for an 18 year old retaking Year 12, ie still in FT education? Would they have any entitlement, or do their parents pay? If a person has a heart attack, they leave hospital with at least 6 …If a person has a heart attack, they leave hospital with at least 6 individual medicines, for that alone. Let alone any other health issues they may have.Also you don't necessarily have to have a chronic illness. It can be something like a vitamin d tablet because we live in the northern hemisphere, and statins because a person's age is over 50 to lower cholesterol, and an aspirin to thin the blood to prevent heart attacks. Depends what your job is. For reasonably well paid (non rocket scientist) jobs, wages in Scotland can be quite competitive. I work in a local government role. I'd make maybe £5k more in London, but my commuting and housing costs would double! Hope you get better mate! Anyone know the situation for an 18 year old retaking Year 12, ie still in …Anyone know the situation for an 18 year old retaking Year 12, ie still in FT education? Would they have any entitlement, or do their parents pay? As far as I remember, you/they have to pay. It's a damn disgrace. Went through a similar thing with my daughter while she was taking A levels. As far as I remember, you/they have to pay. It's a damn disgrace. Went …As far as I remember, you/they have to pay. It's a damn disgrace. Went through a similar thing with my daughter while she was taking A levels. Seriously? Surely they have low/no income? I have a medical exemption certificate & feel that I'm very lucky to have it.. I don't abuse it & only have the 3 medicines on it that I really must have. I would never dream of having my asprin/parecetomol/Indegestion & ibrufen pills put on my repeat slip" when they are so cheap to buy over the counter! And can't actually believe some people do! 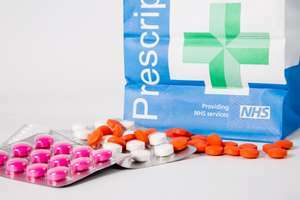 Some drugs such as aspirin, paracetamol, vitamin D and most drugs that can be acquired for less than £8.80 should just be purchased without using a prescription. It's cheaper for the person (unless they have free perscriptions) and saves the NHS money. ....vitamin d tablet ......an aspirin .. Surely folk don't get vitamin d tablets and aspirin on prescription?? Like that actually makes a difference ... loooooooool. you're kidding arent you ? People are sooo tight theyd prefer to wait half a day to see a Dr if they can get free Nurofen. Vitamin D is a joke as well just about everyone at this time of year is Vit D deficient through lack of sun - but its not usually really a problem but will get picked up on tests. Man up people leave the Drs surgeries and Hospital for those that really need it. Im saying that then I had a small day surgery op and they offered me everything under the sun when I was leaving ! Moral high ground - I said no ta ! Can't you get them for free?. Via the longggggg term illness thing?. Cost of living is lower, work life balance is far better. Commutes are shorter. Cheaper to buy the 3 monthly certificates if you're on regular 3 monthly …Cheaper to buy the 3 monthly certificates if you're on regular 3 monthly prescriptions. That way, you can get 6 months worth of prescriptions on each 3 monthly certificate if you get them at the beginning & end of each certificate period. Our CCG has made it a rule that only one month of prescription is given at a time. Disgusting behavour, that seems to penalise those who pay yet enrich the parmcacists hwo make money form each prescription. Why is it a disgrace? Seems completely fair to me. Or ask your GP to issue 3 months worth and pay only one charge. Cost of living is lower, work life balance is far better. Commutes are …Cost of living is lower, work life balance is far better. Commutes are shorter. Other than the first one, these are just assumptions. I can only blame doctors for signing off on drugs like that when they could say go buy it!